Discover ancient Egyptian city of Luxor by taking a short flight from Cairo. 05:00 am Pick up from your hotel and transfer to the Cairo international Airport. 07:00 am Meet with our guide and start your city tour. 09:00 am Visit to Queen Hatshepsut temple. 10:00 am The Valley of the Kings: visit 3 different tombs opened to public on the day. 12:00 am Visit to King Tutankhamon real or fake tomb is available (optional). 17:00 pm Optional Nile feluca ride to Banana island is available. 21:00 pm Our representative will meet you and transfer to your hotel in Cairo. All transfers by air conditioned car. 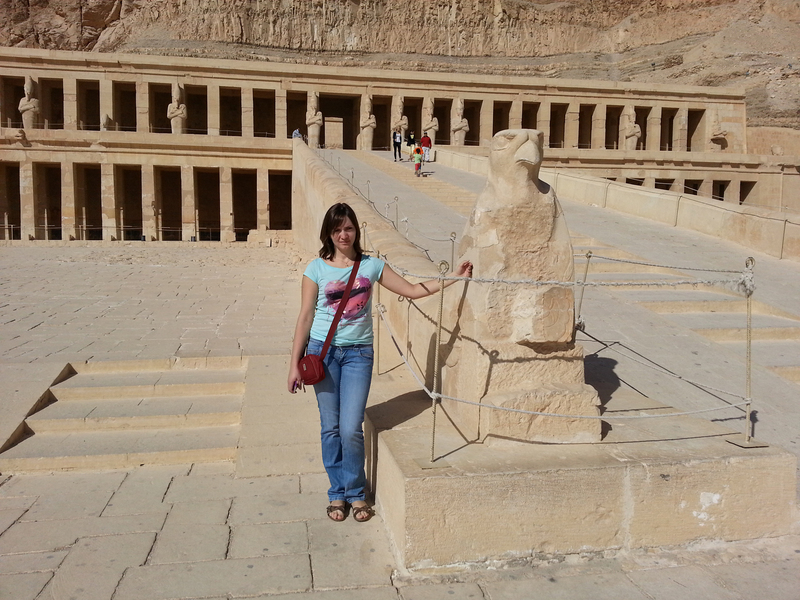 Entrance fees to Valley of the Kings, Hatshepsut temple, Memnon Statues & Karnak temple. Pick up from your hotel in Cairo, transfer to Cairo airport, fly to Luxor. The flight will take around 50 minutes. Meet in Luxor airport by our professional English speaking tour guide and transfer by air-conditioned van to the west bank of Thebes. Valley of the Kings is the ancient cemetery of the pharaohs of the New Kingdom and is hidden in the mountains on the West Bank of Luxor , between the two limestone hills of Gurna. It was named by Francois Champollion as Valley of the Kings. All of the tombs were robbed in antiquity, except for the tomb of the boy king Tutankhamun which was found completely intact in 1922 by Howard Carter. The Valley of the Kings holds 63 registered tombs and recently 2 more tombs have been found. Your visit includes entry into 3 tombs, however if you wish to see either the tomb of Tutankhamun or Ramses VI, there is an additional ticket cost. Hatshepsut is a mortuary temple with a unique design as it is the only temple in Egypt built in terrace formation into the cliff face. Hatsheptsut was a famous female pharaoh who wore a false beard and all the trappings of the male pharaohs in order to claim the throne for herself. There are chapels dedicated to Hathor the goddess of motherhood, joy, love, peace, happiness and music, and chapels dedicated to Anubis, the god of mummification and death, and Amun-Ra the king of the gods. On the temple walls are reliefs showing the first commercial trading expedition to Somalia (ancient land of Punt). Have lunch in a local restaurant in Luxor. Karnak temple is the largest ancient temple complex in Egypt measuring 62 acres. It was in use continuously for 1700 years. The main temple area was dedicated to Amun-Ra, the patron god of Luxor and it has the largest Hypostyle Hall (columned hall) in the world which is unrivalled. Within the complex is the small chapel dedicated to the goddess Sekhmet and the chapel of the Divine Adoratrice which is often known as the Osiris chapel. Karnak Temple complex is one of the major sights of Ancient Egypt and within its bounds the sacred energies of Ancient Egypt can still be felt. At the end of the day transfer to Luxor airport and from there fly back to Cairo. Our rep will meet you upon arrival and drive back to your hotel. Luxor by air: Another early start but well worth it. A short flight and we arrived in Luxor where our tour guide John greeted us. John's depth of knowledge and enthusiasm for Egyptology is sure to fire the imagination! You start the tour with a quick stop at The Colossi of Memnon, the remnants of a huge temple complex. You then proceed to the valley of the kings where you visit 3 tombs with an option to see Tutankhamun's fragile mummy. We then drove to the Temple of Queen Hatshepsut where John explained about the on-going archaeological dig and restoration work at the site. After John had given us a tour of the temple we were given some free time to explore and photograph it's pillars and hieroglyphics. This was followed by an authentic Egyptian lunch at a Luxor restaurant which we both enjoyed, as with our other tour lunch was included in the price, drinks being extra. After a relaxing lunch the highlight of our day was the sprawling temple complex of Karnak. It's easy to loose yourself in the vast fields of ancient columns and ruins of this amazing temple, again John's knowledge of the site was invaluable in helping us understand more about the history of this fantastic site. Exceeded our every expectation. The tour was well organised, professional and experienced in making this trip memorable and enjoyable for our group. From smooth flights, to temples drenched in fascinating history (vally of the kings, Queens and Karnak temple), a brilliant boat trip cruising along the nile and a paddle in cool waters then finishing the trip with a visit to a banana plantation with many welcoming Egyptian locals. Our Guide John made this experience unforgettable. His knowledge of Egypt and passion for its history shone through, he was a major highlight of our holiday. The tour bus was clean, tidy, well driven and fully air conditioned. 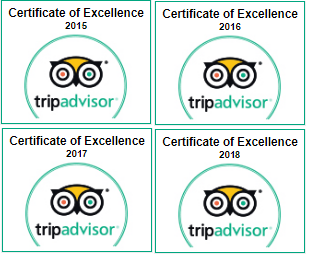 Dining in an authentic Egyptian restaurant, with air conditioning, which was very clean and we received great service, we both thoroughly recommend the tagine.